Create a t-shirt from scratch with our Men's Cut and Sew T-Shirt. This bespoke t-shirt is a classic fashion staple, to be worn to create many different looks. Sewn and printed in the UK from our t-shirt pattern, made to order and sent to you fast. 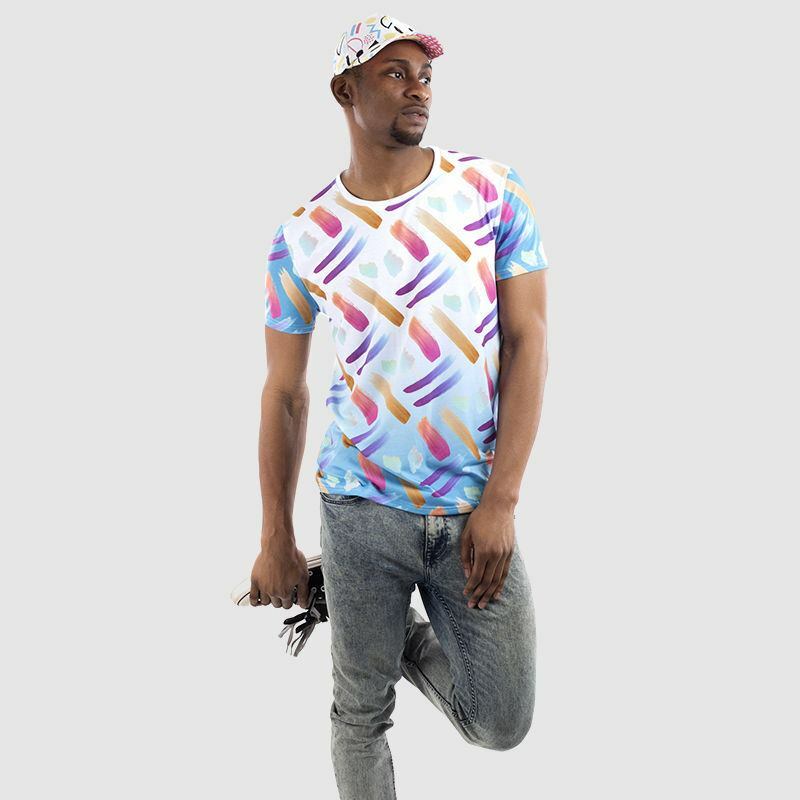 This is much more than a personalised t-shirt, as you can upload your very own designs onto six parts, creating a one of a kind piece of fashion, including your own label, so make your own t-shirt with Contrado. Our bespoke cut and sew service allows us to create totally unique customised clothing. This, combined with our specialist print methods means you can create your very own personalised, designer wardrobe, to show off your style. Kick start your custom clothing collection with our Men's Cut and Sew T-shirt. We like to think of ourselves as pioneers in t-shirt printing, as our personalised t-shirts are made from our exclusive t-shirt template. Each panel is printed individually and then sewn together by hand in our London studio. Design your own customisable t-shirt with Contrado and show the world your talent. 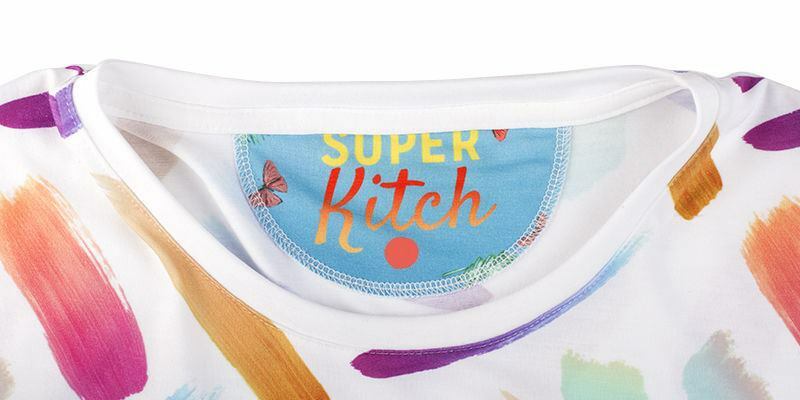 A popular choice for custom t-shirt making, the Jersey 160gsm is breathable and durable and is soft as cotton. It is lightweight and resistant to shrinking and has a lovely drape. This solid jersey is slightly opaque and has great printing quality with a detailed finish. A highly elastic and soft cotton jersey fabric, which bounces back into shape when stretched or manipulated. This custom fabric is soft and the medium weight gives it a solid feel and a good drape. Colours are given a slightly muted, desaturated finish, which gives prints a gorgeous vintage-inspired look. Repeat patterns work best over solid blocks of colour. This is the heaviest jersey option for your personalised t-shirt. This lovely jersey is comfortable, soft and stretchy and is a true pleasure to wear. It works well with casual and sports t-shirts. It has the least opaque base and, as a result, it gets the most solid colour when printing. Looking to sell your shirts, with professional flair? Build your fashion brand with our bold printed labels. These big, full colour labels are guaranteed to make a big impact: perfect for showing off your logo and brand name. Made from the same soft jersey as the rest of your T-Shirt, and sewn flat to rest comfortably against the nape of the neck. Build your brand with Contrado’s printed label solutions. If you are looking for ways on how to style a t-shirt, then we have some fun and stylish suggestions for you! A classic t-shirt looks great worn with loads of different outfits, but our Men's Cut and Sew T-Shirt has something extra special. It is infused with your personal style! The way you wear it depends on the way you design it. Create something funny, casual, smart or high fashion and let it dictate your outfit. For a dapper look, add a tailored blazer jacket and some workman boots. For something a little more laid back, slip our Customised Bomber Jacket or Custom Hoodie over the top and finish it off with our Custom Baseball Cap. Shirt rib sewn on in reverse from expectation I had this produced as a prototype, hoping to get several more made the following week. Unfortunately the rib of the shirt was sewn on in reverse from what the preview suggested. The expectation was to have the seam over the right shoulder, but actually the seam was over the left. I spent the whole of the following week trying to get an answer out of the customer support as to whether it is the sewing or the preview that is wrong. I still don't know, but at least I eventually got a voucher for a re-print, though I've had to print the shirts I wanted made with plain-colour ribs because I still don't know for sure which way around I should be printing them. The actual fabric and prints are amazing though! Happy and impressed I was impressed with how quickly this arrived and really happy with how it came out. Worth theoney you spend. The quality of print to my shirt is faultless, no smudges anywhere, team at Contrado when I've pick up my shirt are very friendly, will definitely order from them again. The best products! The T-shirt is absolutely gorgeous! Thank you! Fantastic! Ordered a T shirt to be printed with my husbands favourite picture on it,one of the pictures that I had printed on some upholstery fabric some weeks earlier.Great products, fantastic sevice and very helpful staff, ( I had to phone them on several occasions for help with the lay out of the designs as I'm rubbish with computers!) Husband very happy with his T shirt and we can't wait to see Grannys chair when it comes back from the upholsterers. Perfect as usual As always Contrado deliver and transform my design in in to a bespoke garment. I keep asking to extend your range of men's clothing and will continue to as I value the service although selection is unfortunately limited. Amazing product and print! As usual Contrado deliver...bringing my designs to life with great fabrics, quality print with vibrancy and and clarity. Quick craftsmanship and quick delivery. Amazing shirt Absolutely love this top, delivery was super quick and the top itself is made of high quality fabric. I Love it! GOT IT! Very satisfied of quality and the image of my t-shirt. Excellent! High-quality product, though I may choose a heavier weight option with my next order. Quick delivery, good customer service when I had questions. Very happy, will use again. If you need customised clothing fast, then you have come to the right place. At Contrado, we pride ourselves on our fast turnaround time. You might think when creating a designer t-shirt, that you might need to wait days or longer to receive it. We can usually start production the day we receive a design, with our print and sewing team working together to make your t-shirt quickly, carefully and efficiently. Turn around time is usually 48 hours with next day delivery available. Cut and sew is the term used to describe a garment, which has been made by hand and customised from raw fabric, rather than one, which has simply been purchased, already completed and then just printed. Our cut and sew clothing is made piece by piece, with each panel individually printed. They are then stitched together to create the final garment. It is great to wear cut and sew clothing when you can, as you will be wearing a unique and exclusive piece made just for you. 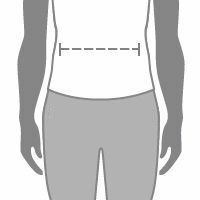 Which parts of the cut & sew t-shirt can I personalise? Our Men's Cut and Sew T-Shirt is a made to order, handmade item. Thanks to our t-shirt pattern template, you can design several areas of this print on t-shirt, which are then sewn together to create the final product. You can personalise up to six areas of this top; the front, back, left sleeve, right sleeve, neck rib, and you can also add your own label, which is sewn into the back of the neck. This is ideal for brands, logos or just adding a special message.